It all started like a bar fight by Jenő Rejtő: the other hit back. In April 1918, the Foreign Minister of the Austro-Hungarian Monarchy came into a debate confuting each other with the French Prime Minister, Clemenceau, which made it clear that Czernin had made a fatal mistake. He accused France of sticking to Alsace-Lorraine and refusing to accept peace for this reason. Because of this, Clemenceau made the letters of Czernin’s “boss”, Charles IV Austrian Emperor and Hungarian King to the French (Sixtus letters), in which he practically accepts Paris’s demand for the provinces, public. Czernin was not fully informed of what his emperor and king had been writing about, and in response to the scandal, he also tried to persuade Charles to retreat (at least to keep the distance from politics). But Charles chose to watch Czernin’s fall rather than retiring from active governance. The latter was the starting point for a series of talks aimed at implementing the German Mitteleuropa plans. 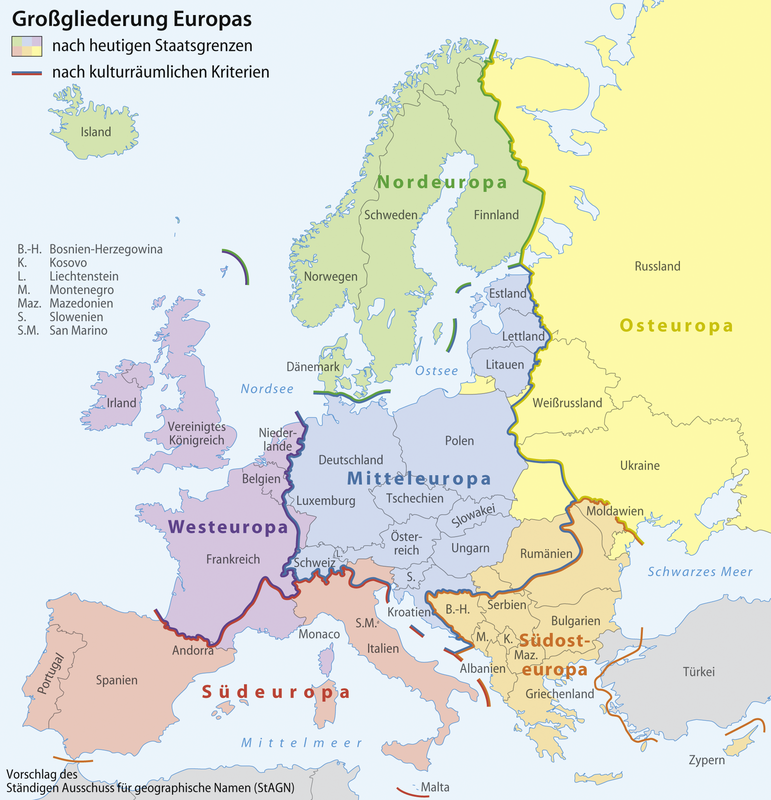 The essence of the Mitteleuropa plan would have been a customs union covering Central Europe, which would of course have been determined by German economic interests. The German Chancellor, Bethmann-Hollweg gave momentum to the Mitteleuropa concept and supported the developer of the plan, the German Liberal Representative, Friedrich Naumann. The plan came to light in 1915, and as we have already written on elsovh.hu, “the idea of a customs union and close economic cooperation between the states of the central powers” was brought forward, which was also argued over in Hungary by Hungarian intellectuals in Huszadik Század already back in 1916. However, in 1918, when the prestige of the Monarchy collapsed in front of both the Entente and the Germans, the tone was quite different from 1915-1916. At that time, due to the temporary German dominance, Austro-Hungary became vulnerable to their own ally as well, and both empires continued on the road to collapse. In the meantime, heated debates formed about unfinished businesses and the economic and customs alliance. Wedel also pointed out that “the autonomy and independence of allied states shall remain intact in any case”, and added: “The political insight of Hungarians will recognize that the numerously smaller Hungarian nation does not suffer any reductions by establishing a favourable relationship with the great German people, and even more, this is how it will find the best and most lasting assurance of its real interests without the slightest restriction of its proven ancient rights and traditions.” That is, this was a clear hint that the numerically small Hungarian nation can rely on the Germans to maintain “Hungarian supremacy” in the historical Hungary against the Slavs (although this was not the subject of the interview) (that was the purpose of the Hungarian political elite, of course, not the topic of Germans). Before the complete failure, however, the negotiating parties in Salzburg recorded their negotiations on Mitteleuropa in minutes. This was reported on by Az Est on September 8, 1918 as follows: “The first chapter of the negotiations that had taken place in Salzburg for weeks between the German, Hungarian and Austrian minister delegates came to an end. The conceptual arrangements are ready, all three parties included them in the minutes, which were sent to the relevant governments. Negotiations in Salzburg only specify the details from now on.” Based on the article, the idea of the customs union and trade contract has come farther away from implementation, but according to Az Est, “the preferential agreement was supported by the Austrians and they were joined by the Hungarian industrial interested parties and the German anti-Mitteleuropa-camp”. (Under preferential agreement, Az Est meant that “Germany and the Monarchy may grant to each other or to other countries in the customs agreement or customs union such special benefits that other contracting states may not claim for themselves”.) So, according to Az Est, “of the three standpoints, preference won, and the idea of customs union would be dropped. We will conclude a trade agreement with Germany and in this contract we will provide special benefits to each other that cannot be claimed by other states contracting us”. The Mitteleuropa plan fell through in 1918, but as we have seen, some of its elements, the permeability of borders and the customs union have become such principles of the European Union, about which debates have not ceased completely even by 2018. Új szövetségi szerződés Németországgal = Pesti Hírlap, 1918. május 14. Egységes élelmezési terület lesz Németország, Magyarország és Ausztria. Seidler miniszterelnök leleplezése az „élelmezési szövetségről”. Windischgraetz herceg közélelmezési miniszter nyilatkozata = Az Est, 1918. május 18. Gróf Hadik János felel Windischgraetz hercegnek = Az Est, 1918. május 19. A fegyverszövetségi tárgyalások = Az Est, 1918. május 24. Dr. Lázár Jenő: Beszélgetés a bécsi német nagykövettel Magyarország szerepéről az új „elmélyített” szövetségben = Az Est, 1918. június 13. Az osztrák németek tüntettek a csehek és a zsidók ellen. Sürgették a szövetség kimélyítését a nagynémetekkel = Az Est, 1918. június 18. Károlyi Mihály a német szövetség „kimélyítése” ellen = Az Est, 1918. június 18. Vilmos császár a porosz militarizmusról és a világháború erkölcsi jelentőségéről. A császár ünneplése uralkodásának harmincadik évfordulóján = Az Est, 1918. június 18. A „Mitteleuropa” eszméje.= Pesti Hírlap, 1918. augusztus 14. Preferenciális szerződésünk lesz Németországgal. Jegyzőkönyvbe foglalták a salzburgi tanácskozás elvi eredményeit. = Az Est, 1918. szeptember 8. Romsics Ignác: A brit külpolitika és a „magyar kérdés” 1914–1946 = Századok, 1996/2. Német annexiós célok. Részlet Theobald von Bethmann Hollweg birodalmi kancellár 1914. szeptember 9-i úgynevezett szeptemberi programjából. In: Az első világháború. A 20. század őskatasztrófája. (Szerk. : Stephan Burgdorff és Klaus Wiegrefe) Budapest, 2010. V. melléklet. 252-253. Hajdu Tibor–Pollmann Ferenc: A régi Magyarország utolsó háborúja. 1914–1918. Budapest, 2014.